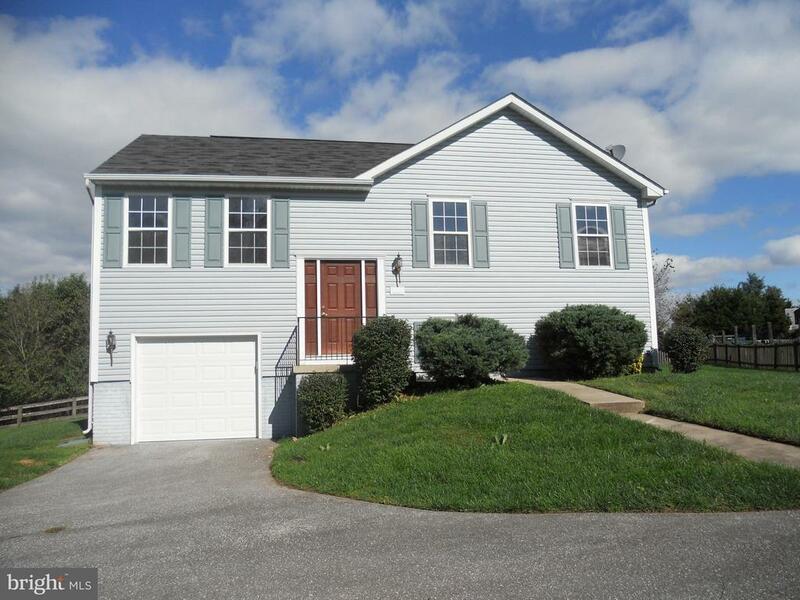 Lovely split foyer with 3 bedrooms and 2 full baths , eat in kitchen with island and slider, living room, lower level family room, flag lot that backs to trees, partially fenced yard. 1 car garage. Front porch. Freshly painted & new flooring throughout. New garage door, some new light fixtures. Shows well and ready to move in. Private, quiet location. Eligible for 100% USDA financing.